Nuku'alofa (Tonga) (AFP) - Tonga's king dissolved the Pacific island nation's parliament and dismissed its prime minister because the government had usurped some of the monarch's powers, a senior official said Tuesday. King Tupou VI took the measures against Akilisi Pohiva, the first commoner to serve as prime minister, last week, casting doubts on the tiny island's young experiment with democracy. Tonga has a 26-seat parliament with 17 members elected by the people and nine spots taken by hereditary nobles. 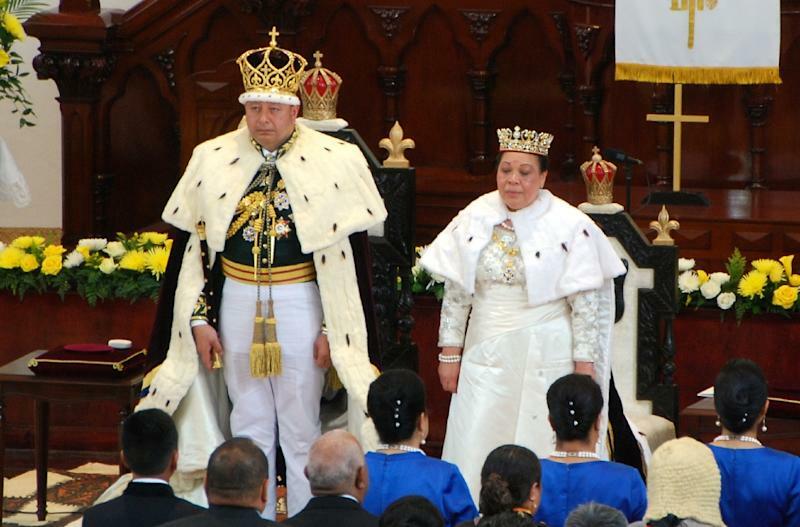 Tupou, 57, ascended the throne following the death of his bachelor brother Tupou V, who died in 2012 after a six-year reign of major reforms that expanded democracy in the nation of about 110,000 people. In the first official explanation for the unprecedented move, parliamentary speaker Lord Tu'ivakano issued a four-page statement listing a litany of complaints against the government. The speaker said he met the king last week and advised him to dissolve parliament in the Pacific's only monarchy, which introduced democratic reforms after deadly riots rocked the capital Nuku'alofa in 2006. "I became increasingly concerned during the current parliamentary term with certain decisions and actions of the executive that appear(ed) to disregard the constitution and the rule of law," he said. He said the government had "trespassed" on some of King Tupou's powers. Lord Tu'ivakano claimed the government had tried to take away the king's right to approve legislation, to make treaties with foreign governments and to appoint key public servants such as the police commissioner. He also said Pohiva failed to punish a minister who had been found guilty of bribery and wasted parliament time with "frivolous" motions of impeachment. However, he said Pohiva would continue as caretaker prime minister until elections were held no later than November 16. Pohiva, a former democracy activist who was elected in late 2014, survived a motion of no confidence earlier this year brought by nobles who alleged he was not competent to lead the country. Acting Attorney General Aminiasi Kefu said the calm showed how Tonga's democracy had developed. "No one is out on the streets protesting... it just shows the maturity of the Tongan Constitution, the laws and also the people, maintaining that continuing stability," he told reporters Monday. Pohiva is yet to make any public comment.